Long-time IWRG wrestler who began as a rudo named El Millonario, a blatant take-off of 'The Million Dollar Man' Ted Dibiase. He was then regimmicked as Ultra Mega, a new member of the popular Los Megas group. He kept that gimmick for a while before losing his mask at the yearly Castillo Del Terror show. Two weeks after losing his mask he turned rudo but that went nowhere. At some point in 2007 he was remasked once again. 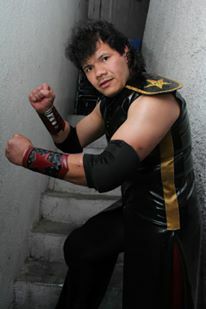 This time he became Fierro, the final member of the newest version of Los Oficiales. The group was wildly successful and continues to be a major part of all IWRG shows. This page was last edited on 1 July 2017, at 16:48.